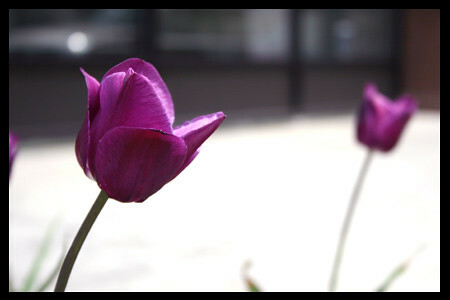 IMG_7363_TulipPurple.jpg, originally uploaded by tinkerellen. i don't have a tan either. this is the life of a working woman, unfortunately! tuplips and peonies couldn't be more different, but they are, hands down, my two favorite flowers. your pics are lovely! Steve Carell's hair gel makes me want to reach thru the TV with gloves and shampoo. does anyone besides me not watch the office?